When a year ends, it’s like finishing a favorite book. You really don’t want it to end because you’re still savoring all the good parts, but you also want to wrap it up so you can start the next one. Before we close this chapter on 2013, we’d like to share some of our most memorable Hay House books—our staff favorites—that this magnificent year has brought us. If you didn’t get a chance to read any or all of these, we invite you to add them to your must-reads for 2014. 1. E-Squared (Pam Grout): If you still don’t believe that you have the power to shape the life you want, try any of the nine easy experiments in this book to prove that there really is a positive, loving, totally hip force in the Universe that’s listening to your every word and that’s ready to rock your world. 2. Mind Over Medicine (Lissa Rankin, M.D. ): Have you always believed that the fate of your health is in the hands of your doctor, your genetics or sheer luck? Discover your body’s innate ability to self-repair from the insights of a medical doctor. 4. All Is Well (Louise Hay and Mona Lisa Schulz, M.D., Ph.D.): Like many of us, Dr. Mona Lisa read Louise Hay’s little blue book and it changed her life. 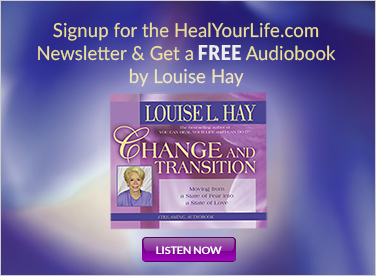 But she went one step further and collected scientific evidence to support what Louise has been teaching for years: that we each have the power to heal our bodies and our lives. 5. Do Not Go Quietly (George and Sedena Cappanelli): There’s a demographic revolution—half of our population are 50 years of age or older for the first time in history. This book will guide all of us—GenXers (ages 30-45), Baby Boomers (ages 46-64) and Elders (age 65+) to work together to meet the challenges and opportunities in the days ahead. And for our future leaders—GenYers (everyone else! ), there are tips for you, too! 6. Love Your Enemies (Sharon Salzberg and Robert Thurman): Two great minds join together to create this inspiring book on how to move past your pain, learn how to identify the people who challenge you (even yourself!) and learn to transform your relationships with them. 7. 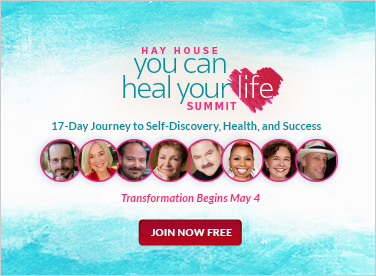 Forgiveness (Iyanla Vanzant): Iyanla says that forgiveness will cure anything that ails you, and she has created a powerful program to help you to forgive everyone for everything in just 21 days. Forgiveness will sharpen and broaden your vision. Are you ready to open your eyes? 8. Archetypes (Caroline Myss): Ever wondered why you are drawn to some people while turned off by others? Are you constantly searching for something, but you’re not sure what it is? You’ll find all the answers in your archetypes—the universal patterns that explain why we behave the way we do. Are you a Rebel, Artist, Visionary, Healer, Saboteur, Storyteller, Victim, Warrior? This book reveals all! 9. The Honeymoon Effect (Bruce Lipton): Think back on the most spectacular love affair of your life—the Big One that toppled you head over heels. Now you can understand and actually manifest this state of heartfelt bliss, robust health and abundance energy anytime you need it. 10. The Tapping Solution (Nick Ortner): Here’s the latest craze that everyone is giving a try to help relieve their stress, alleviate pain and lose weight. It’s the practice of tapping or Emotional Freedom Techniques (EFT). When you learn the amazing power of this technique, you’ll be able to tap away your challenges and live a happier life. 11. Second Firsts (Christina Rasmussen): Have you lost someone you love? Through the author’s personal experience of grieving the early death of her husband, you’ll learn how loss can actually be a powerful catalyst to creating a life that is in alignment with your true passions and values. 12. Nurturing Healing Love (Scarlett Lewis): This book was inspired by the three words (Norturing Helin Love) that the author’s six-year-old son Jesse wrote on their kitchen chalkboard shortly before he died during the Sandy Hook Elementary School shooting. Jesse’s poignant words will teach you one of the greatest lessons in life: Love never ends. 13. Power Words (Sharon Anne Klingler): Words have undeniable power and incredible energy. They can make someone smile, sever a friendship, forgive a hurt and change the world. Find out which words will lift and empower you in every experience and encounter. 14. The Dalai Lama’s Cat and The Art of Purring (David Michie): Here’s the second delightful novel on the further adventures of His Holiness’s Cat. Now this mischievous feline is searching for the true meaning of happiness—beyond the kind that comes and goes like a can of flaked tuna. This book’s inspiring lessons will surely make you purr! 15. The Last Laugh (Arjuna Ardagh): If you love fiction with a twist of self-empowering wit and wisdom, enjoy this beautifully written and charming story about a young man who meets a quirky guru who finds a way to crawl into this troubled man’s hardened heart and awakens his spirit. Lots of laughs and life lessons, too!